The US Department of the Treasury added more individuals and companies to the SDNT list in the war on drugs as such entities and people act as fronts for the drug trade out of Columbia. Ever wonder why the FBI may never have been given a greater role in the Natalee Holloway investigation? And what ever happened to the DEA agent that Beth Twitty met her first night in Aruba? The assets of a total of 1,260 business and individuals in Aruba, Colombia, Costa Rica, Ecuador, Mexico, Panama, Peru, Spain, Vanuatu, Venezuela, the Bahamas, the British Virgin Islands, the Cayman Islands, and the United States have been designated by OFAC pursuant E.O. 12978. The U.S. Department of the Treasury’s Office of Foreign Assets Control (OFAC) today added five individuals and twenty companies tied to Colombia’s North Valle drug cartel to its list of Specially Designated Narcotics Traffickers (SDNTs). The five individuals act as front persons for North Valle cartel leaders Raul Alberto Grajales Lemos (Raul Grajales) and Carlos Alberto Renteria Mantilla (Beto Renteria). Both Raul Grajales and Beto Renteria have been indicted in the U.S. on charges relating to narcotics trafficking. The four newly named Colombian individuals, Francisco Javier Duque Correa, Ricardo Jaar Jacir, Moises Abdal Saieh Muvdi, and Carlos Ernesto Saieh Jamis, represent the interests of Raul Grajales and Beto Renteria in the operation of Casa Estrella ( see “Important re Business with Grupo Grajales 05/19/05”) and associated companies. Casa Estrella is a department store chain located in Colombia that was previously named as an SDNT by OFAC in May 2005. This activity is carried out in attempts to hide the North Valle cartel’s control of the department store chain. Francisco Javier Duque Correa is the general manager of Casa Estrella and has been an associate of Raul Grajales for the past 16 years. Ricardo Jaar Jacir, a share holder in Casa Estrella, is the half brother of Armando Jaar Jacir, a key front person for Raul Grajales and Beto Renteria who was previously designated by OFAC in November 2005. Moises Abdal Saieh Muvdi and Carlos Ernesto Saieh Jamis have been business associates of Raul Grajales and Beto Renteria for the past 15 years and are also shareholders in Casa Estrella. The fifth individual designated today, Salvadoran national Carmen Elena Siman De Jaar, was named for her involvement in the SDNT entity, Armando Jaar y Cia. S.C.S., as well as her involvement in Cipe Investments Corporation, a Panamanian shell company. Carmen Elena Siman is the wife of Armando Jaar Jacir. Also named today are 20 companies which comprise an international financial network for Colombia’s North Valle cartel. 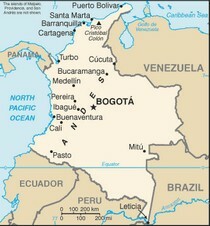 These companies are located in Colombia (8), Panama (5), the British Virgin Islands (1) and the United States (6). The 20 companies encompass a wide range of services including real estate, investment, construction, property management and manufacturing. The U.S. and Panamanian companies are owned or controlled by Moises Abdal Saieh Muvdi and Carlos Ernesto Saieh Jamis. These entities are shell companies used to facilitate financial transactions. Gimber Investing Corporation is located in the British Virgin Islands and is the majority shareholder of Confecciones Lord S.A., a Colombian company also named today, which is affiliated with Casa Estrella. SDNTs are subject to the economic sanctions imposed against Colombian drug cartels in Executive Order 12978. Today’s action freezes any assets found in the United States and prohibits all financial and commercial transactions between the designees and any U.S. person. The assets of a total of 1,260 business and individuals in Aruba, Colombia, Costa Rica, Ecuador, Mexico, Panama, Peru, Spain, Vanuatu, Venezuela, the Bahamas, the British Virgin Islands, the Cayman Islands, and the United States have been designated by OFAC pursuant E.O. 12978. The 487 SDNT businesses include agricultural, aviation, consulting, construction, distribution, financial, horse breeding, investment, manufacturing, maritime, mining, offshore, industrial paper, pharmaceutical, real estate and service firms. The SDNT list includes 19 kingpins from the Cali, North Valle and North Coast drug cartels in Colombia.